By now I am sure you have heard Pantone announced that emerald is the official color of 2013! Can we all agree it's a little more versatile than tangerine tango, last year's color? 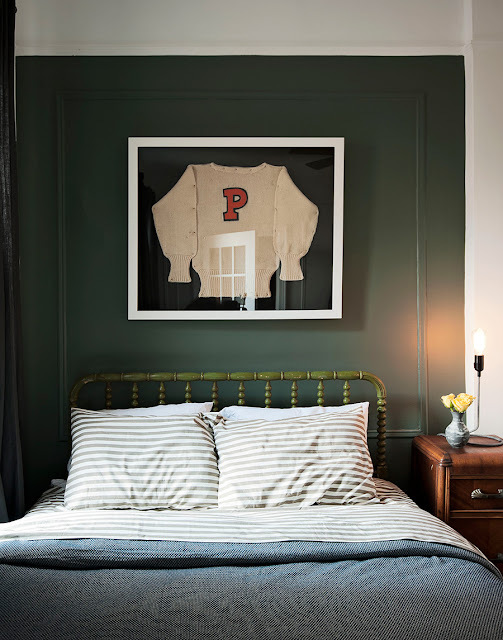 Emerald can be worn throughout the seasons, and there are a plethora of ways to add in the hue to your decor (malachite, anyone?)! 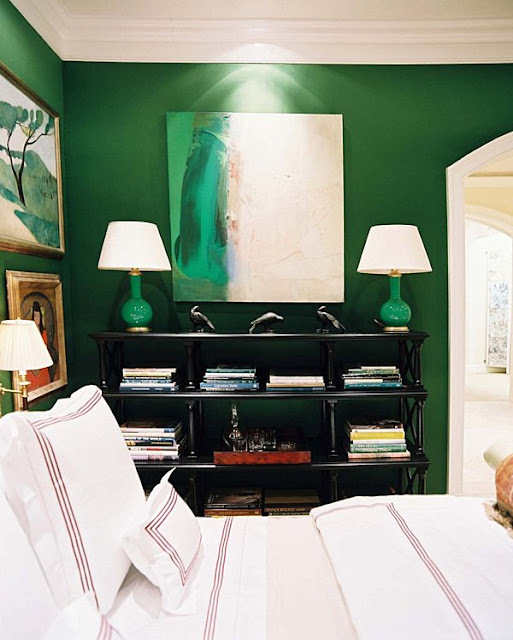 I love the Currey & Co Goddess wall sconces the most- wouldn't they be the perfect pop of color? Happy Thursday, loves! Love emerald! 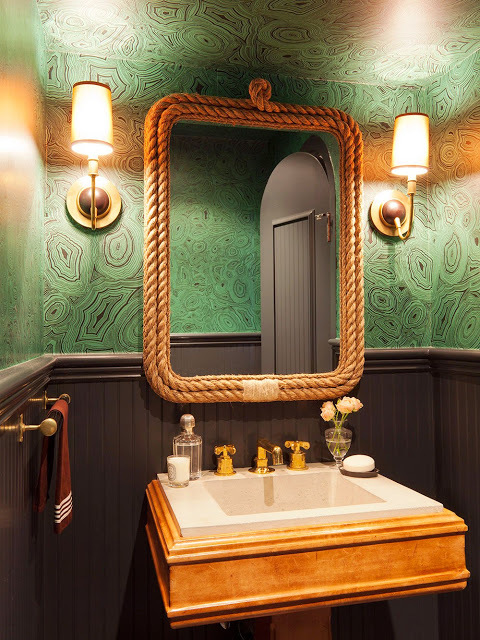 And that bathroom with the rope mirror looks fantastic! I love the emerald. 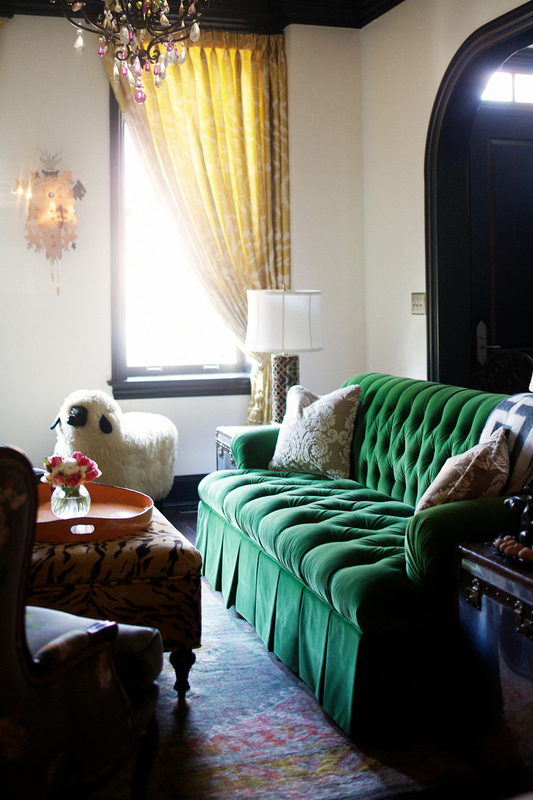 But have to say I am sad to see tangarine go :)The tufted couch is my fav! I definitely have to concur with emerald being more versatile than tangerine...not that I didn't love that one, too (c; But green, oh GREEN!!! One of my all time favorite colors, adore this hue! love!love! love! that malachite wallpaper and that tufted sofa...swoon! Gorgeous roundup! I for one am a huge fan of this hue! I loved tangerine, but I am really excited about emerald! I used to not be into green, but I have really started liking it the past year. Really excited to add some more green to my closet! Love the kate spade shoes so much!! *swoon* these are all gorgeous...loving emerald! yup still totally obsessed with this color! love your emerald picks - definitely a more versatile and wearable color than last year's! the earrings are gorgeous. Definitely one of my favorite colors! Gorgeous inspiration. Its my fave color...You can post about green everyday and I would still be happy! I need a malachite box...I did some faux ones which I adore but a real one would be aaahmazing! Love this color! You found gorgeous pictures, that bathroom is fabulous! I love the rope mirror. I just Facebooked that library on Lulu & Georgia's page. How fantastic is that?? There is no such thing as too much malachite. My birthstone and one of my absolute FAVORITE colors...you can never go wrong with Emerald in my book!! Loving all your picks, especially the malachite. Obsessed! I love it, I love it! I want it in my house somewhere...but where? Maybe I should paint my entryway?! So obsessed with that tufted couch and the green bookcases! Emerald is just so gorgeous! I can't get enough! Great picks..! Love me some emerald my love! Yes! Love everything about this color. I especially love emerald jewelry. You can never get too much emerald.